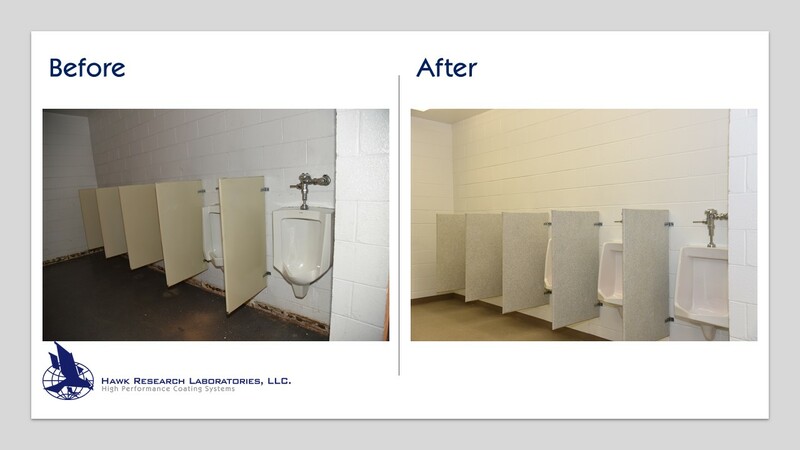 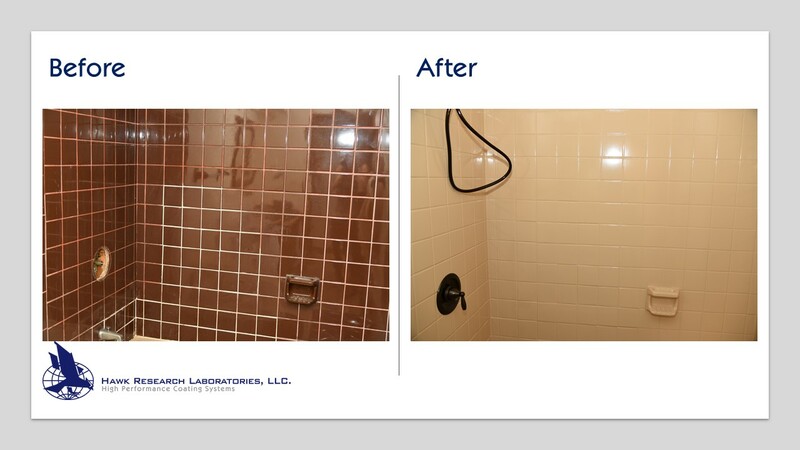 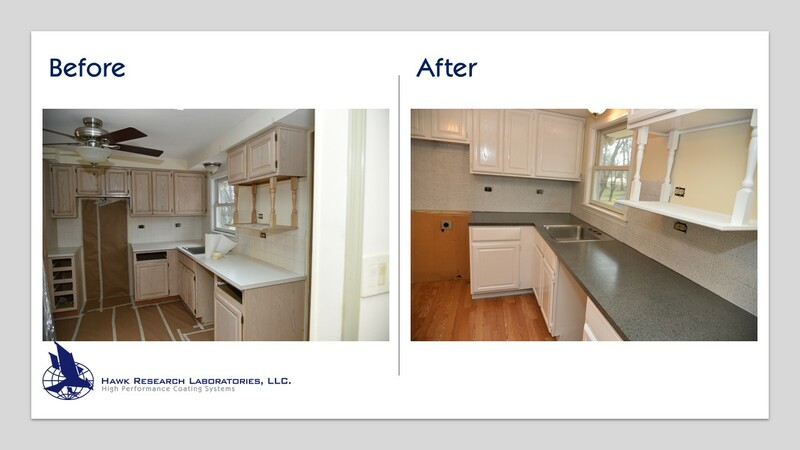 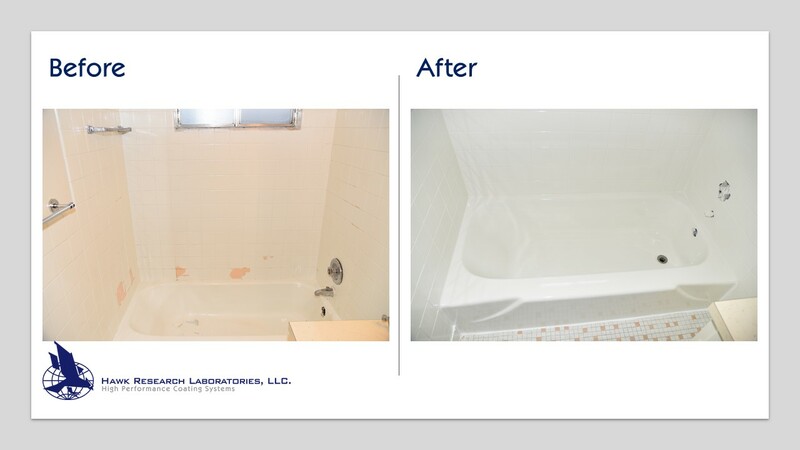 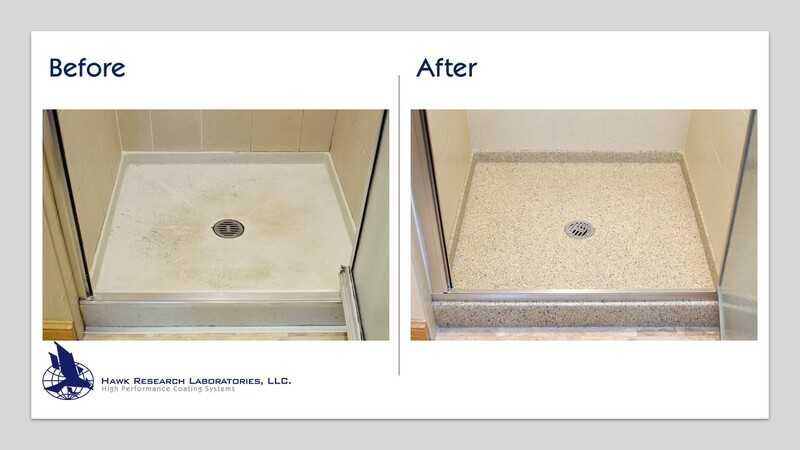 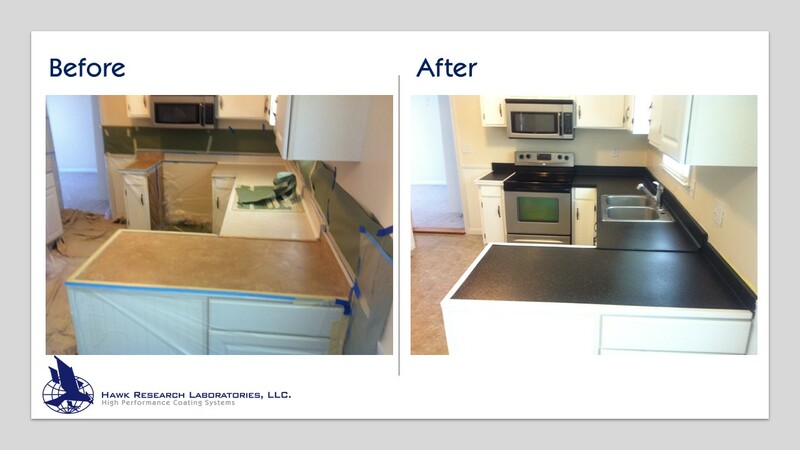 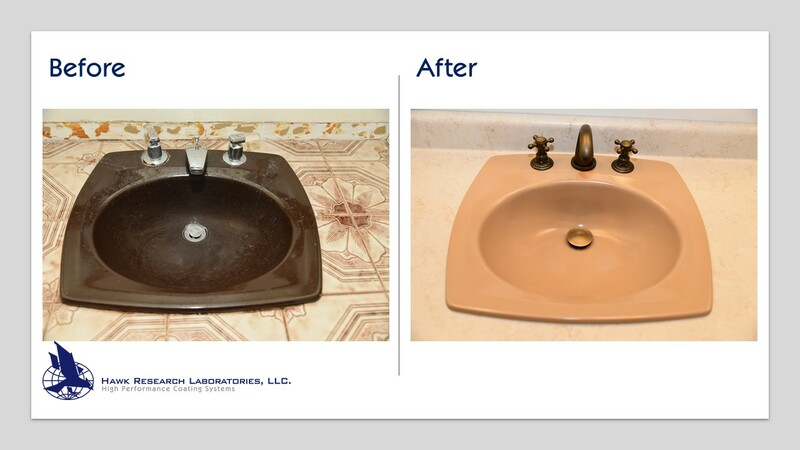 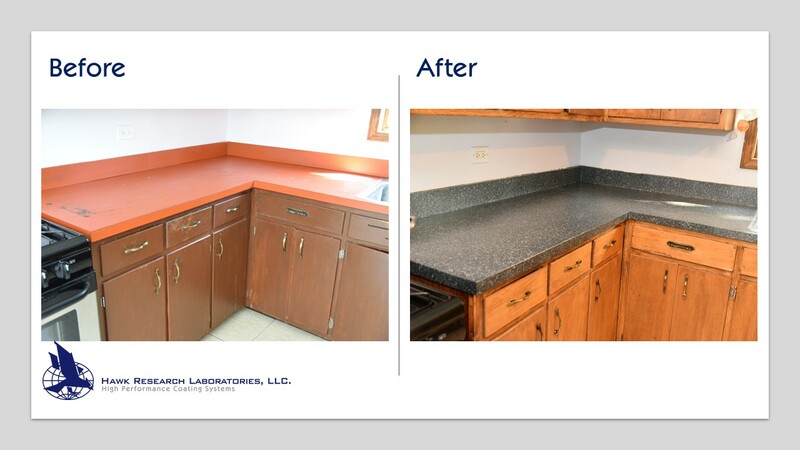 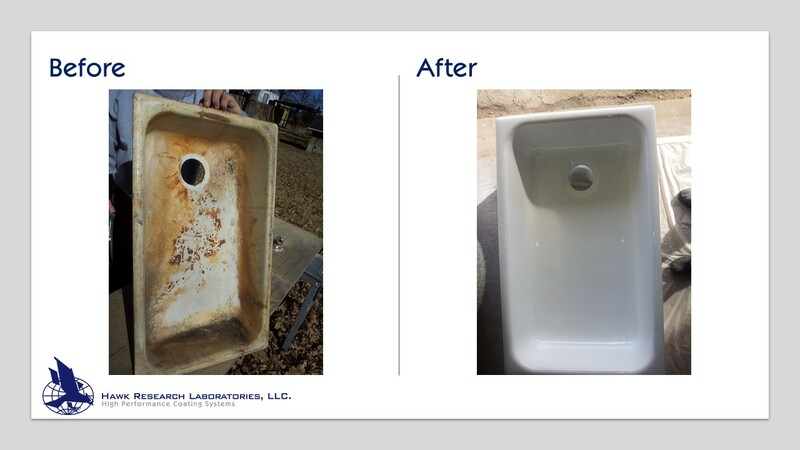 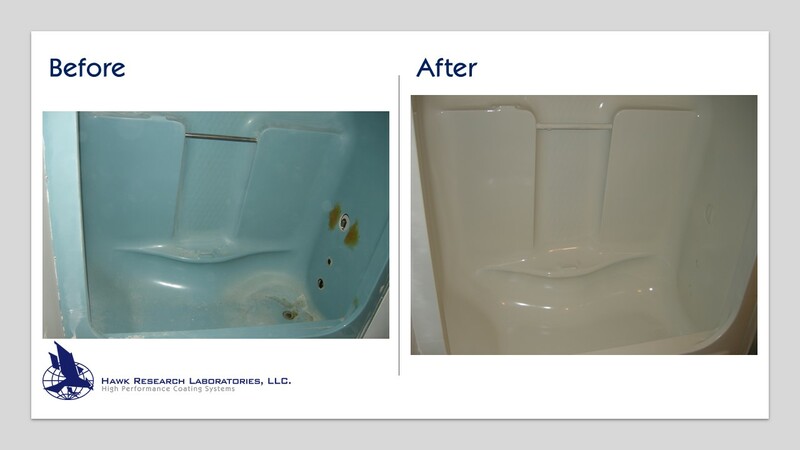 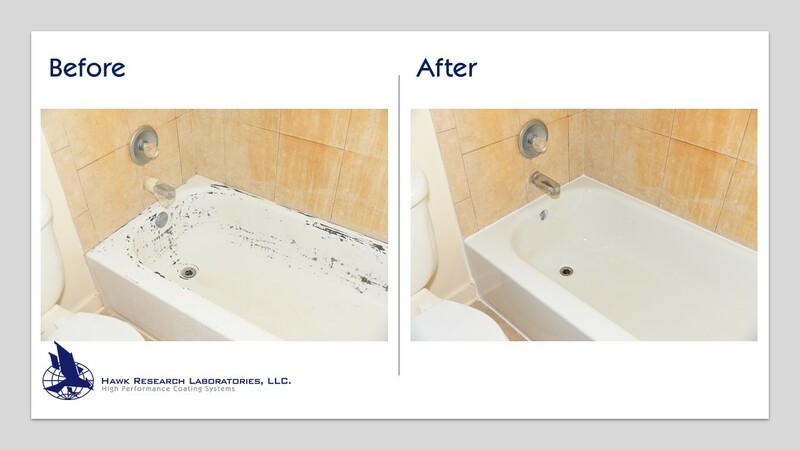 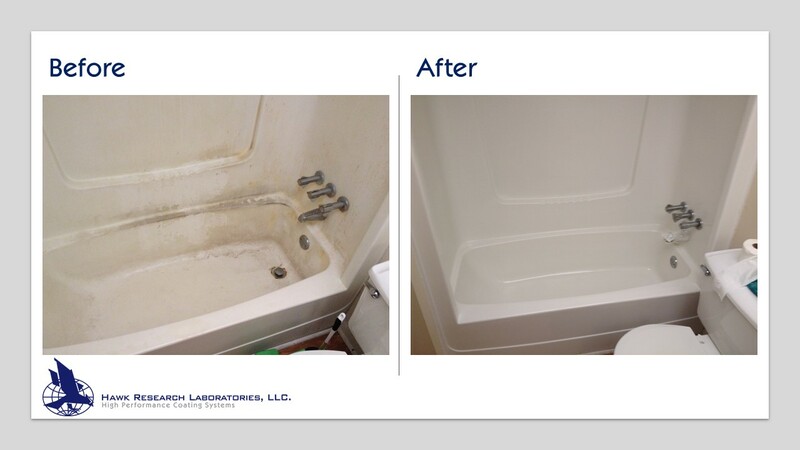 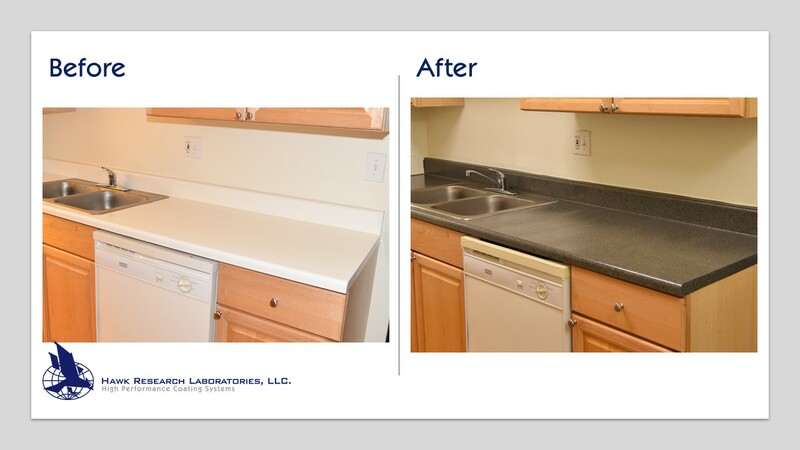 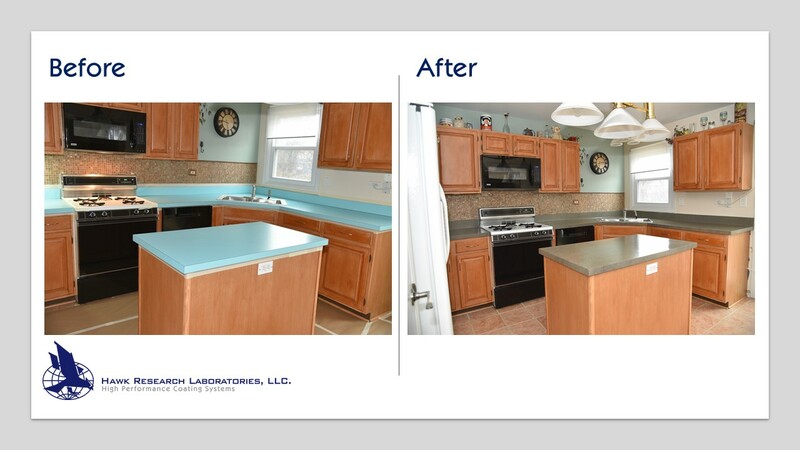 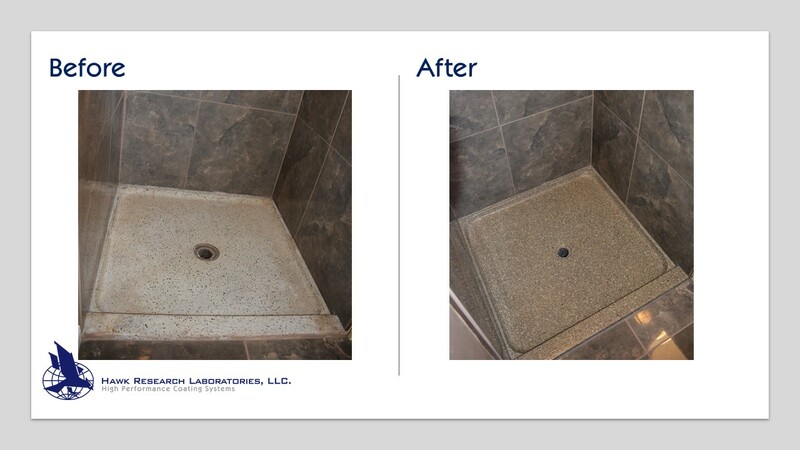 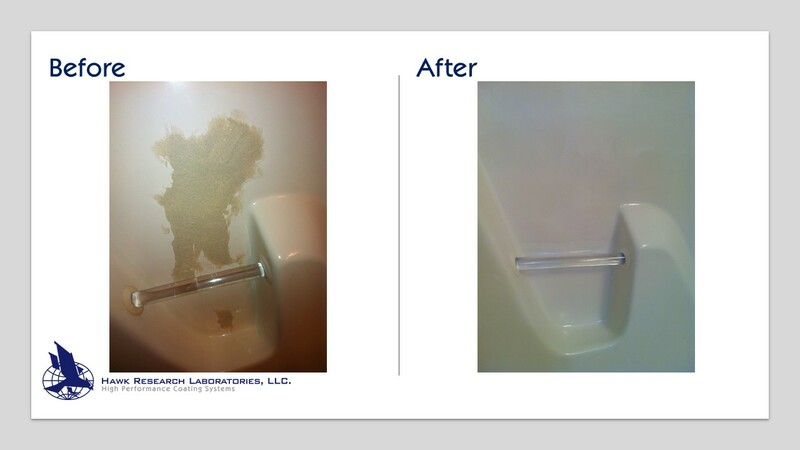 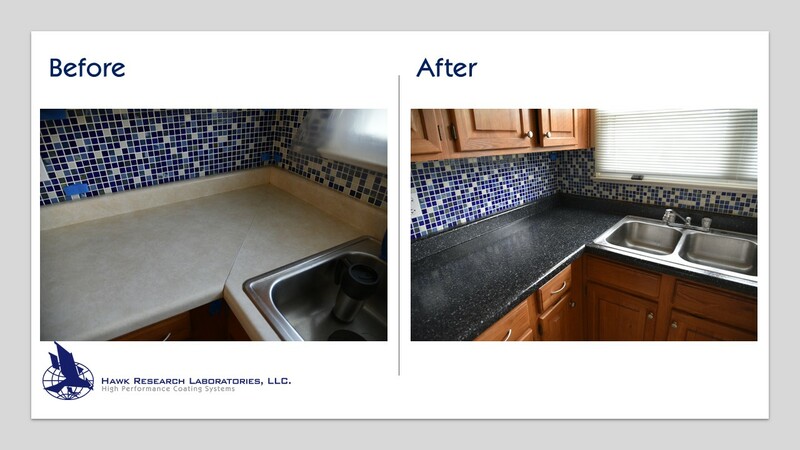 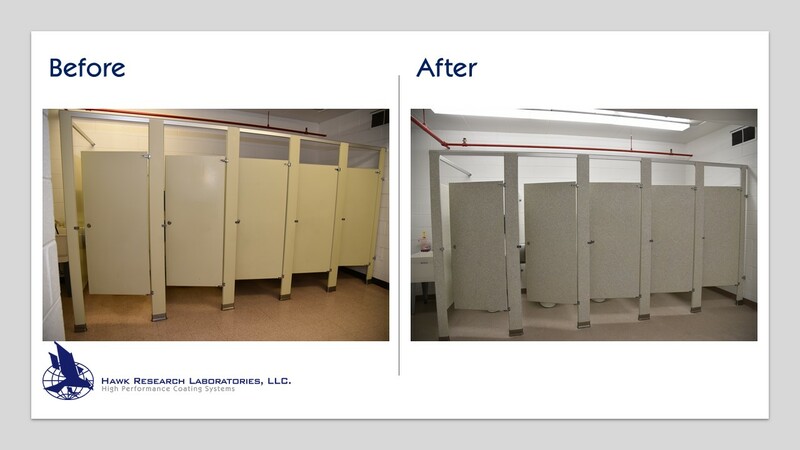 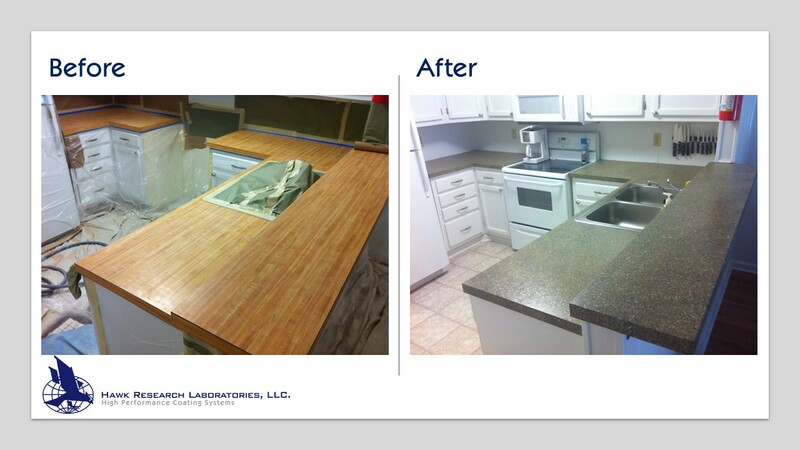 Before & After | Hawk Research Laboratories, LLC. 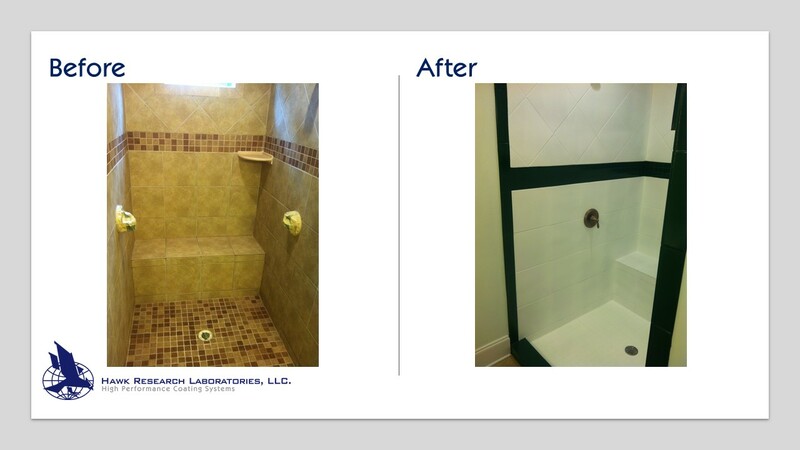 Are you a homeowner looking to transform and update your bathroom, kitchen, floors or any other space in your home? 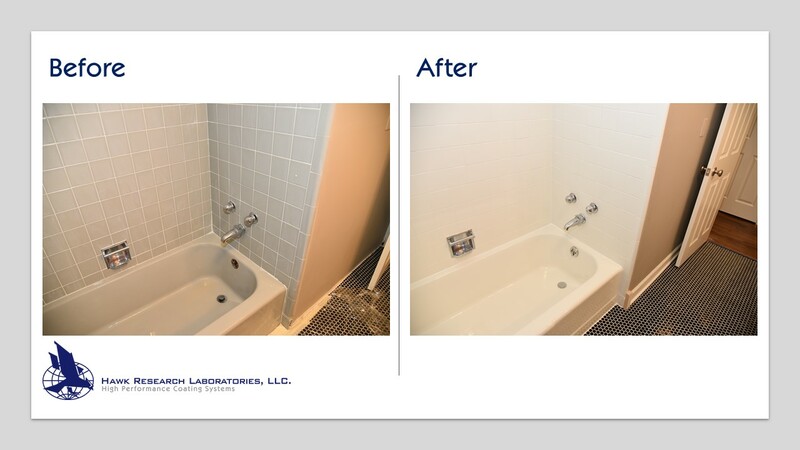 Virtually any hard surface can be professionally refinished for a fraction of the cost and time of a renovation and without all the mess, down-time and potential costly headaches associated with a construction project. 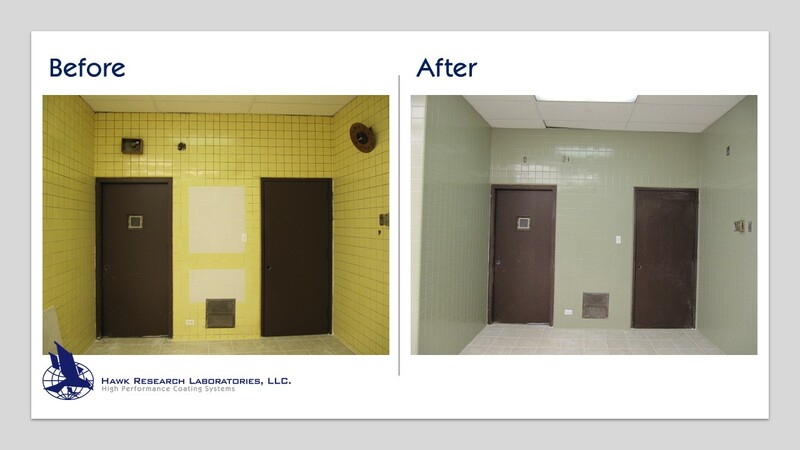 And with the recent advances in low odor and low VOC coatings technologies developed by Hawk Labs, professional refinishers can now use the industry’s latest generation of highest quality and most durable coatings. 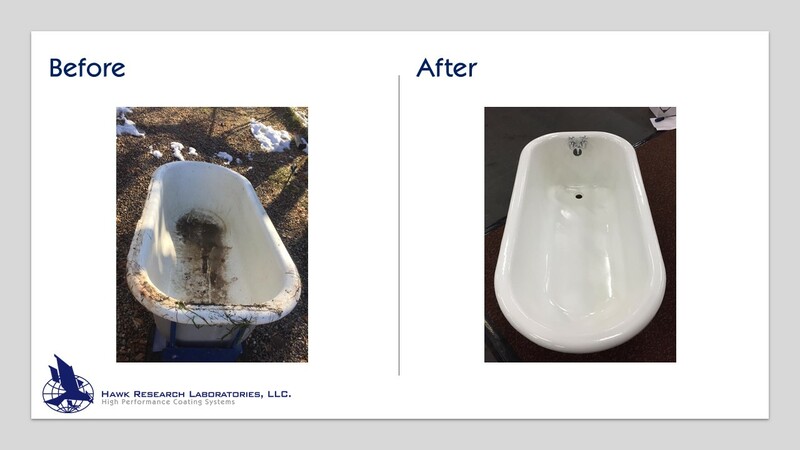 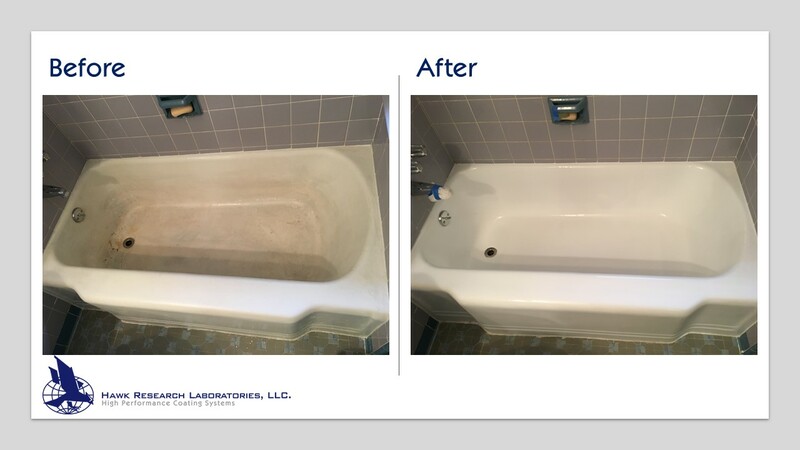 Please enjoy our “Before and After” gallery to see for yourself various transformations through refinishing projects with Hawk Labs coatings.